There is much debate swirling around the topic of environmental change; the discourse has most recently focused on floods and earthquakes in Pakistan and China, on changing sea ice conditions in the Arctic Ocean and on threats to the world’s biodiversity. The blame is most commonly ascribed to the phenomenon of climate change. To what extent is climate the most important driver of environmental change? And to what extent is the news entirely negative? Scientists and scholars from France, the United Kingdom, the United States and Canada have been invited to share their expert perspectives on the topic. The circumarctic permafrost region is known as a climate-change hotspot, with special reference to parts of Alaska and Siberia which display a warming trend of 5°C for the last century. Moreover, the contemporary economic development of Arctic regions has brought dramatic expansion of infrastructure (e.g. extraction of fossil fuels and mineral resources). 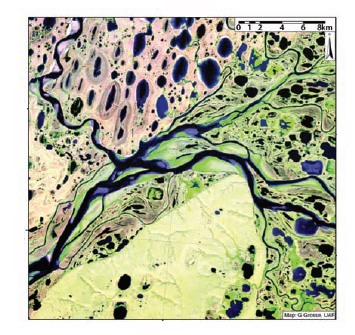 In this context, permafrost thaw appears as the driving force of landscape change, soil disturbance and infrastructure damage, but is not the only expression of the current environmental change. Four main topics will be discussed: (1) The identification of geoindicators of contemporary environmental changes in the Arctic; (2) The interplay of natural and human drivers of these changes; (3) The negative and positive implications of the current environmental changes in circumarctic regions; (4) The geomorphological services to be offered to mitigate or prevent the negative effects. This is a FREE event open to UBC students, faculty and staff, and the general public. For more information, please visit www.stjohns.ubc.ca/.